*Online Premiere* Facing an oncoming winter storm, a young Navajo girl named Hunter must find a way to heat her home to protect her ailing mother. A tense, well-constructed tale of ingenuity in the face of dire circumstances. Hunter and her asthma-stricken mother, May, are in a grim spot. The storm is fast approaching and there’s much to be done in preparation. When their heater breaks, and their old pick up trunk won’t start, the situation takes a turn for the worse. Hunter stumbles upon a possible solution using the dead truck’s radiator, but she must hide her ambitious attempt from her mother. Director Eliza McNitt succeeds in the gripping scenario with sharp editing and strong images (dp. Hunter Baker). 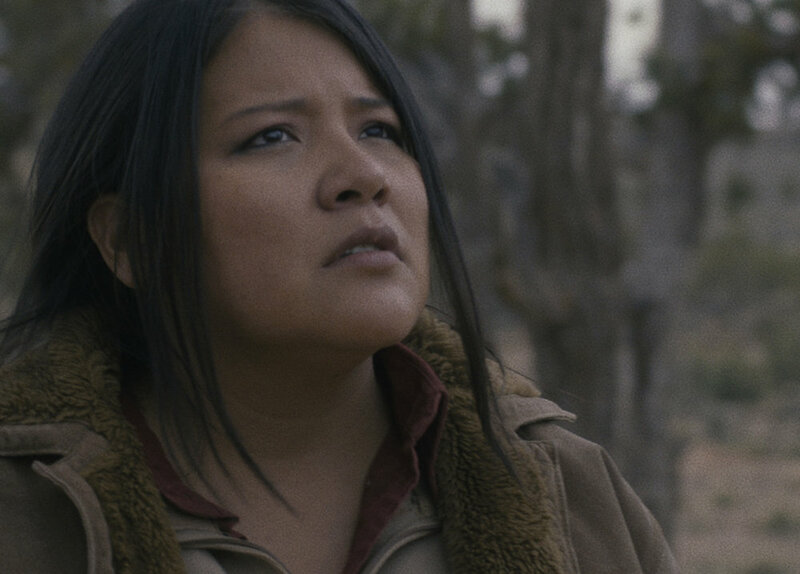 And gritty performances by Misty Upham and Magdalena Begay build a strong core for the moving story. (20 minutes). Recipient of the Alfred P. Sloan Foundation Grant. Dedicated in memoriam of Misty Upham. A powerful and talented actor whose strong voice and dedication to her craft is an inspiration. Misty is the heartbeat of our film and it is an honor to have collaborated with her on Without Fire.